Last night Patti Smith had an opening with Steven Sebring opened at the Robert Miller Gallery in Chelsea. Although we were meant to go, we really couldn’t drag ourselves out of bed and unfortunately missed it. 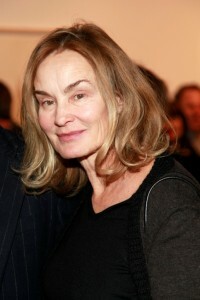 The real story is this snap of Jessica Lange, Patti Smith has looked like hell for years. Everybody gets old we know, but it seems like it happened to Jessica overnight. We think plastic surgery should definitely be used judiciously but couldn’t Jessica at least slap on some makeup, a little botox…something? Give us a little effort Jessie!